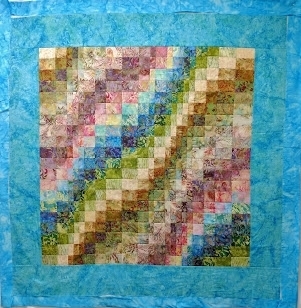 This is the eleventh in a series of sew/quilt-along posts about making a bargello quilt. 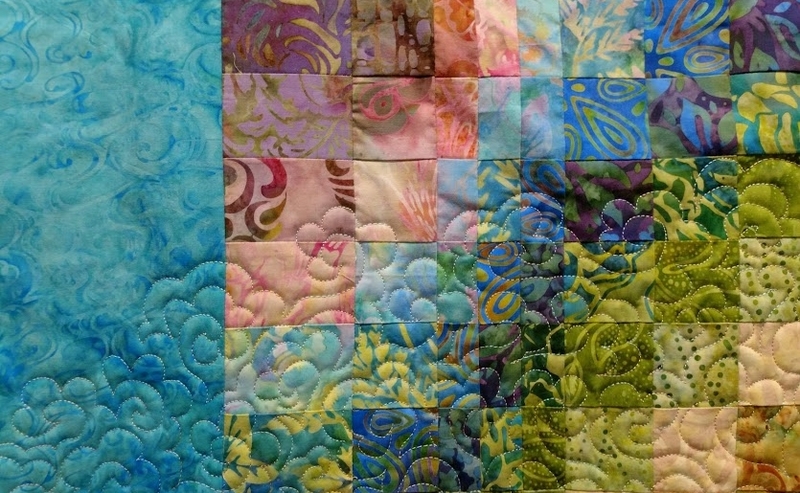 I am following the pattern for Cascade, the most beginner-friendly pattern from Colorwash Bargello Quilts. When I use fusible batting, I like to wrap extra backing fabric around to the front to cover up the exposed batting. 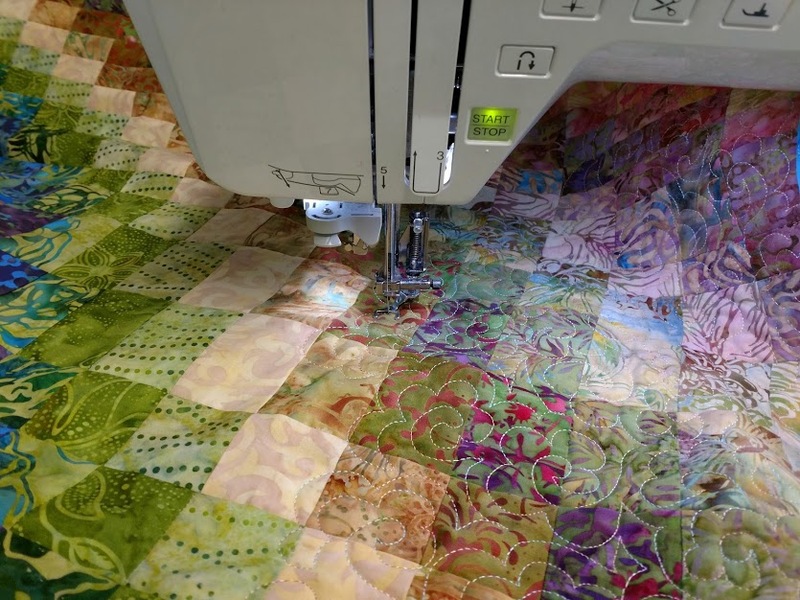 No worries if it looks messy – it will all get cut off when I’m finished quilting. I’ve decided to go with the variegated pastel Rainbows thread as my top thread and pale yellow Bottom Line in my bobbin. I’m using a Schmetz Embroidery needle, size 80, as this particular spool is one of the very early batches of this thread, and is a little more delicate than later versions. The Embroidery needle has a groove on the shaft that will help reduce friction on the thread, and therefore reduce the possibility of fraying or breakage. On a quilt like this, I usually start on one corner and work my way across the quilt. This is what the in-progress stitching looks like when I take it out of my machine to change the bobbin. Quilting in-progress. 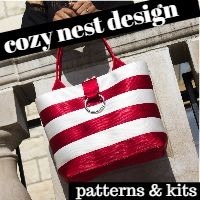 Note the subtle but noticeable differences in color, luminosity, and visual texture that the free-motion quilting makes! Check out the optical illusion – it looks for all the world like the sewing machine itself is moving, but I promise that it isn’t! I’m moving the fabric with my hands (with my Machingers quilting gloves on) while the needle just goes up and down.